It’s the final countdown to 2019 SXSW PanelPicker® Community Voting which ends on Thursday, August 30 at 11:59pm PT! Who knows what you want to see at SXSW better than you? Your input is very important in terms of shaping the look and feel of the March event. All ideas received during the PanelPicker® entry period are now online for the community to vote on. It’s as easy as “review, comment, and vote” to help select this season’s SXSW programming. 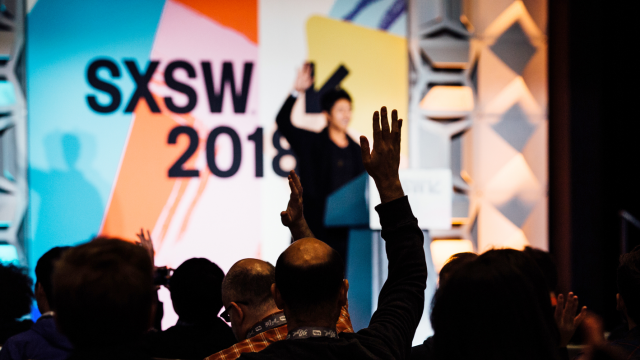 Browse session ideas, leave comments, and vote on what programming you would like to see at the 2019 SXSW Conference, SXSW EDU, and SXSW Gaming in March. Once you are logged in to PanelPicker®, you can begin the voting process. Filter through proposals by session format, programming track, and level. You can also search for by title, description, tags, and speakers in the search field. Learn more about our 25 Tracks of programming divided amongst Interactive, Film, Music, and Convergence. During Community Voting, it’s important for anyone who submitted a proposal to rally online support for your idea and encourage voting. Use our handy “Vote For My PanelPicker Idea” graphics for promoting your session on Twitter, Facebook, LinkedIn, and Instagram. For more information about the Community Voting process, read the PanelPicker FAQ and visit the SXSW PanelPicker page. The final deadline for getting in your votes is August 30 at 11:59pm PT. Register to attend SXSW 2019 and book your hotel to begin your SXSW adventure from March 8-17, 2019. Sign up for SXSW Event Updates so you don’t miss a beat.